The Australian Department of Defence officially announced its plan on June 26, 2018 to purchase the Northrop Grumman Corporation-built MQ-4C Triton aircraft system, further cementing the company’s commitment to a longstanding U.S. ally. 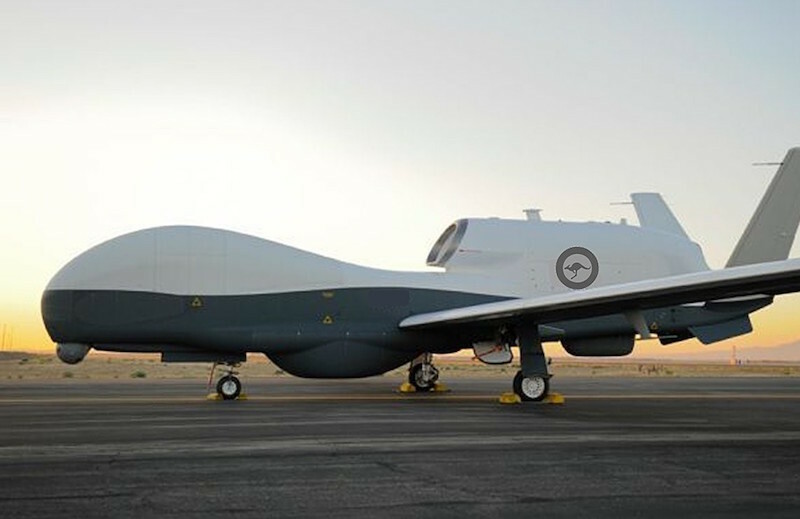 An unmanned aircraft system with an autonomous capability built for maritime intelligence, surveillance and reconnaissance, MQ-4C Triton is the first Northrop Grumman-built aircraft system Australia has purchased. The system will be operated by the Royal Australian Air Force (RAAF). «Northrop Grumman looks forward to bringing the MQ-4C Triton unmanned system with its autonomous capability to Australia», said Ian Irving, chief executive officer, Northrop Grumman Australia. «Working with the Royal Australian Air Force and the U.S. Navy, we are confident that we can provide the best capability to fulfill Australia’s maritime mission». Triton can fly at altitudes of 55,000 feet/16,764 m for 24 hours at a time and is equipped with sensors that provide high-resolution imagery and near real-time video. Pilots and sensor operators fly the Triton from ground stations, which can command flights all over the world. 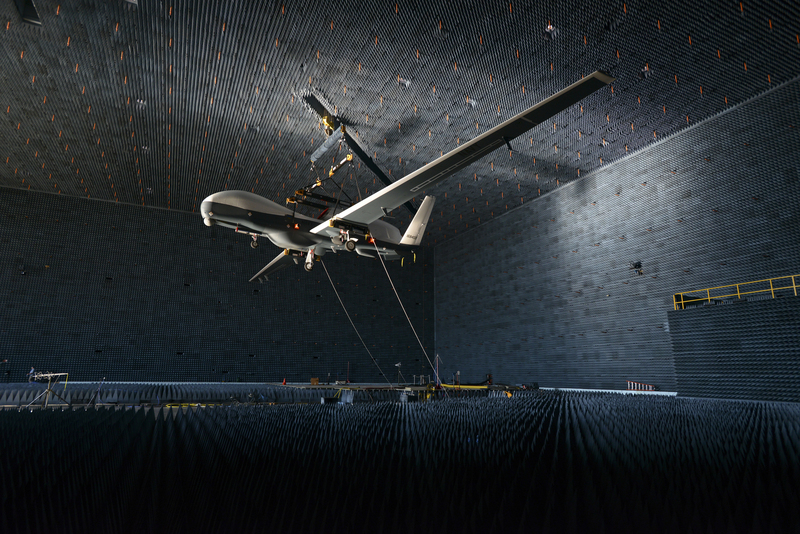 «Triton provides unprecedented endurance and 360-degree coverage through its unique sensor suite», said Doug Shaffer, vice president of MQ-4C Triton programs, Northrop Grumman. «Australia has one of the largest sea zones in the world over which it has rights to use marine resources, also known as an Economic Exclusion Zone. 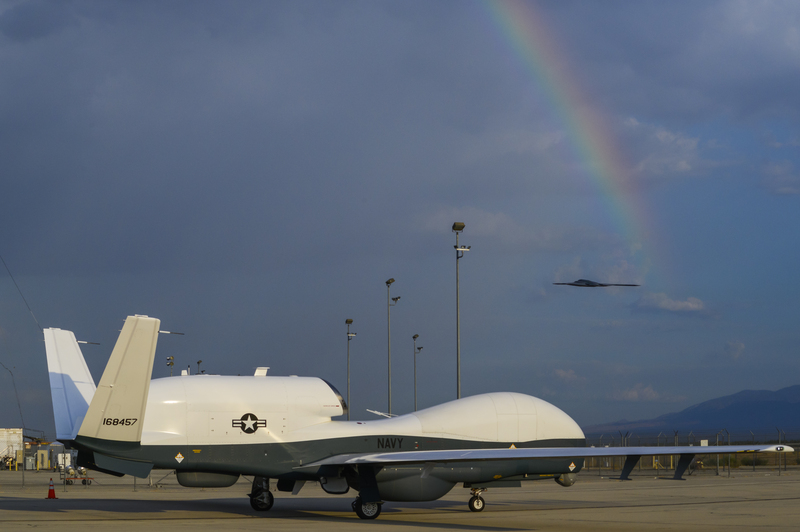 As a flexible platform, MQ-4C Triton can serve in missions as varied as maritime domain awareness, target acquisition, fisheries protection, oil field monitoring and humanitarian relief». 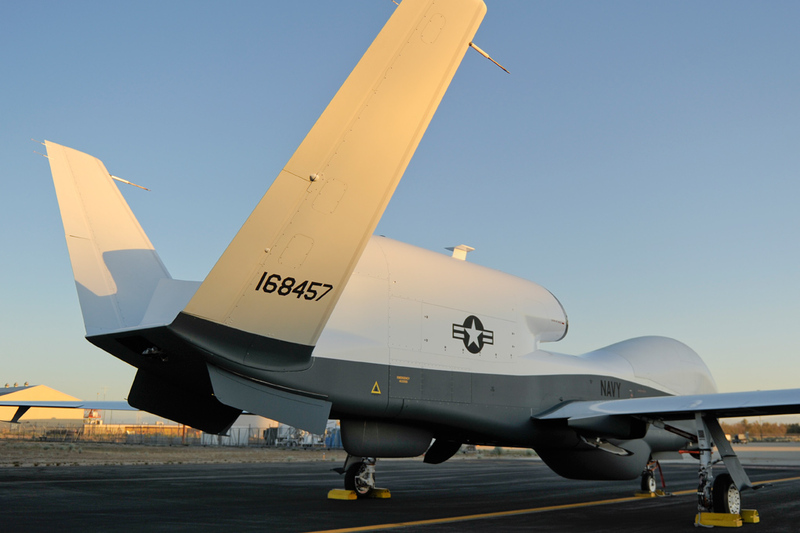 MQ-4C Triton builds on Northrop Grumman’s legacy of success in autonomous systems. The U.S. Navy recently acquired two operational MQ-4C Triton aircraft and is under contract for six more. These aircraft will go to Guam later this year and provide the Navy with an unprecedented common operating picture of the maritime environment. MQ-4C Triton can detect, classify and track ships over large swaths of ocean and littorals. The U.S. Navy program of record is for 68 aircraft. Northrop Grumman has been building its presence Down Under for many years. The global aerospace and technology company will be the anchor tenant of an AUD $50 million Electronic Sustainment Centre of Excellence, to be established at the Badgerys Creek Airport precinct in western Sydney. The new centre will support advanced electronics such as communications and electronic warfare equipment and targeting pods. Northrop Grumman will bring together highly skilled technicians, engineers and other professionals whose work will be further supported by the company’s high-end technology and software expertise. «Australia and the United States are celebrating 100 Years of Mateship this year, marking an alliance that goes back to the trenches of WWI. Northrop Grumman is proud to partner with such a loyal friend and provide this unprecedented capability to the RAAF», said Irving. «We consider Triton and its autonomous technology to be the future of the next centennial of aviation, and we are honored to be part of this century-long partnership». Point Mugu has also completely refurbished an existing hangar that will accommodate up to four Triton aircraft with its 130.9-foot/40-meter wingspan. 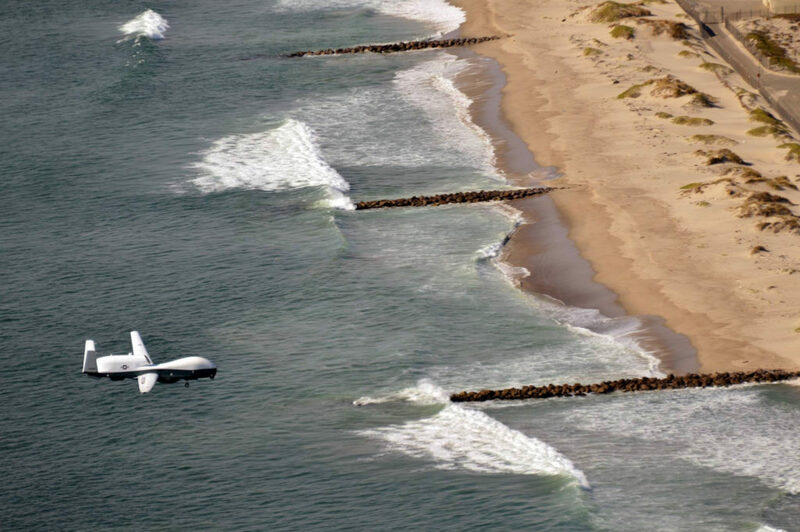 The first two Triton aircraft are located at Point Mugu. «With each new part of the Triton infrastructure that the Navy stands up, we move closer to making Triton operational and showing the fleet what this remarkable aircraft system can do», Shaffer said. «I look forward to the day when this hangar is full of activity leading up to the Guam employment». «As Naval Base Ventura County’s representative in Congress, I am proud to support the MQ-4C Triton aircraft system», said U.S. Representative Julia Brownley, Ventura County. «The Triton is an essential component of the Navy’s future intelligence, surveillance, and reconnaissance capabilities, and a critical program for the continued strength of Naval Base Ventura County and our national security. I have made funding for research, development, and procurement of the Triton a top priority. When fully developed, this program will bring jobs and an economic boost to Ventura County». Built by Northrop Grumman, the MQ-4C Triton is an unmanned intelligence, surveillance and reconnaissance aircraft system with an autonomous capability that is piloted from a ground station. 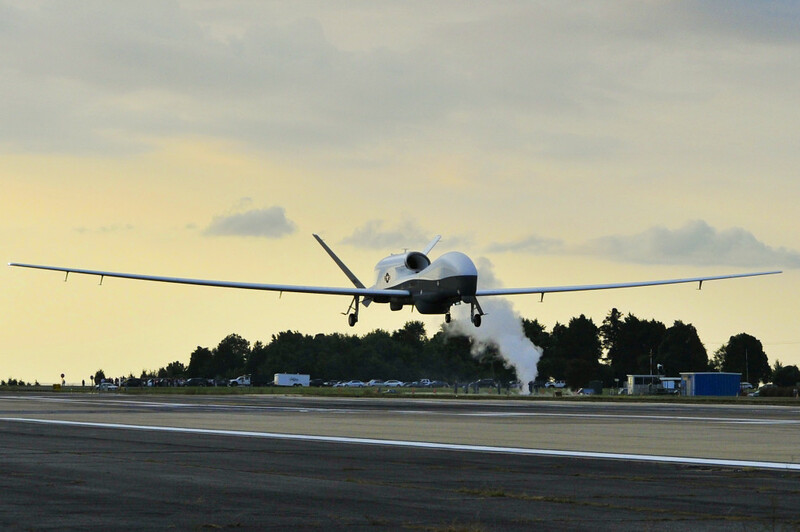 Triton can fly for up to 24 hours and reach altitudes of up to 55,000 feet/16,764 m. Flying high above the battle space, Triton provides a critical common operating picture, disseminating images and near-real time video to commanders around the world. 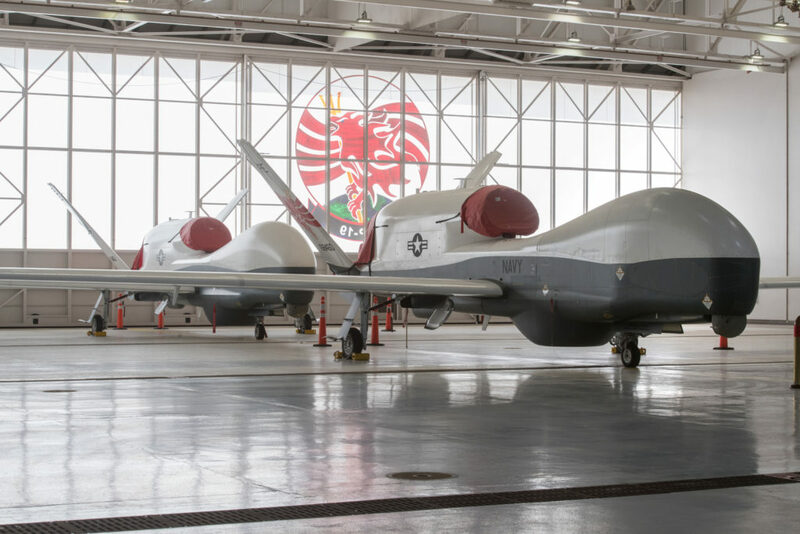 The State Department has made a determination approving a possible Foreign Military Sale to Germany of MQ-4C Triton Unmanned Aircraft Systems (UAS) for an estimated cost of $2.5 billion. The Defense Security Cooperation Agency delivered the required certification notifying Congress of this possible sale on April 4, 2018.
ten (10) LN-251 INS/GPS units (2 per aircraft plus 2 spares). This proposed MQ-4C UAS sale will be a modified version of the USN Triton configuration. Also included is one Rolls Royce Engine (spare), communication equipment, support equipment, mission planning element to include Joint Mission Planning System (JMPS) Global Positioning System (GPS) items, Communications Security (COMSEC) equipment, mapping, training, support equipment, consumables, spare and repair parts, tools and test equipment, ground support equipment, flight test support, airworthiness support, personnel training and training devices, applicable software, hardware, publications and technical data, facilities and maintenance support, U.S. Government and contractor engineering, technical, and logistics supports services, and other elements of unique engineering efforts required to support the integration, installation and functional platform compatibility testing of Germany’s indigenous payload and other related elements of logistics and program support, and other related elements of logistics and program support. The estimated total case value is $2.5 billion. Germany is one of the major political and economic powers in Europe and NATO and a key partner of the United States in ensuring global peace and stability. 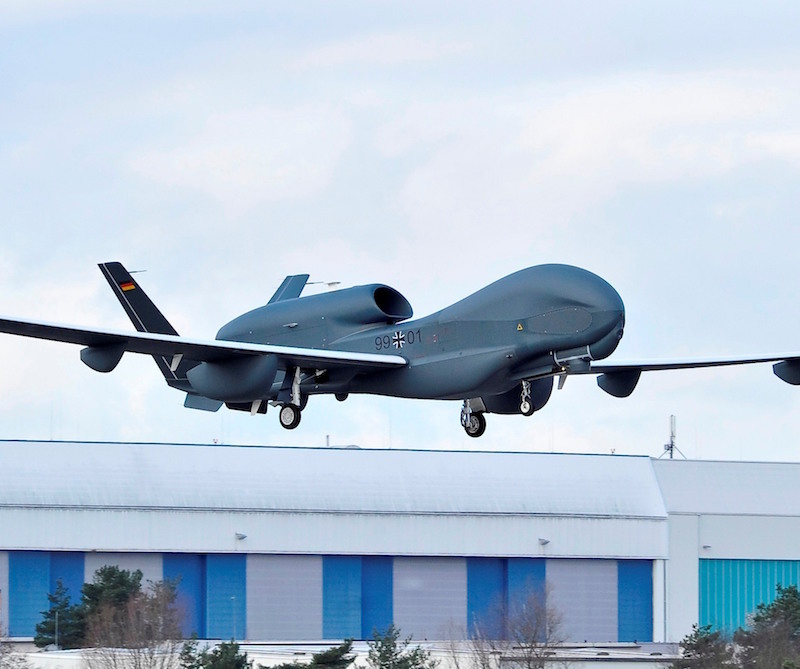 The proposed sale of the MQ-4C Triton will support legitimate national security requirements and significantly enhance Germany’s intelligence, surveillance, and reconnaissance (ISR) capabilities and the overall collective security of the European Union and NATO. The proposed sale of the MQ-4C Triton will close a crucial capability gap and will enhance bilateral and NATO interoperability and will help ensure that Germany is able to continue to monitor and deter regional threats. This proposed MQ-4C UAS sale will be a modified version of the United States Navy (USN) Triton configuration. The German Armed Forces will have no difficulty absorbing these systems into its armed forces. Northrop Grumman Corp. delivered the first operational MQ-4C Triton aircraft to the U.S. Navy facility at Point Mugu, providing the service with unparalleled endurance and 360-degree coverage that allows for a vastly expanded maritime Intelligence, Surveillance and Reconnaissance (ISR) mission. «This aircraft represents the beginning of a new era for Naval aviation», said Doug Shaffer, vice president, Triton programs, Northrop Grumman. «Triton is a high-altitude, long-endurance unmanned system that delivers a critical autonomous capability to the Navy, expanding the service’s maritime patrol mission. We are proud to be a part of this historic program». 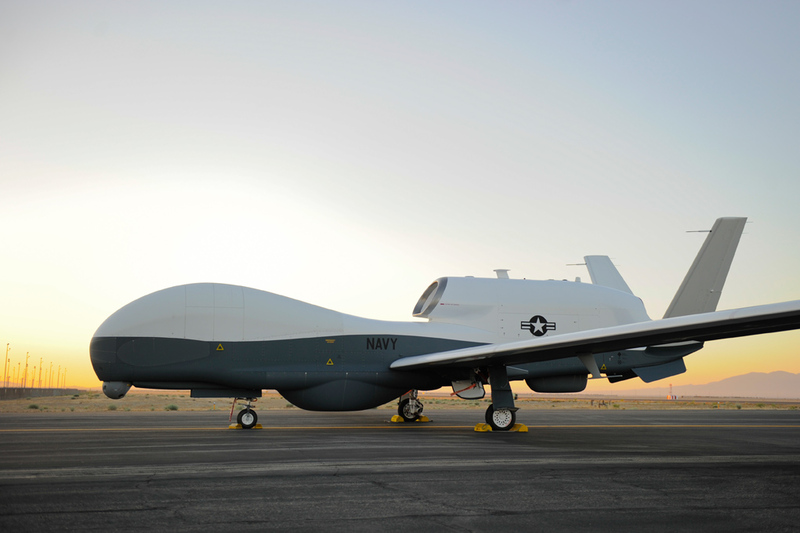 Northrop Grumman is expected to deliver the second operational Triton aircraft later this year. Naval Base Ventura County Point Mugu is home to the maintenance detachment of Unmanned Patrol Squadron (VUP)19. Maintainers will prepare the first two operational Triton aircraft for its employment to Guam, scheduled next year. VUP-19, the U.S. Navy’s first unmanned patrol squadron, is based at Naval Air Station (NAS) Jacksonville, Florida. 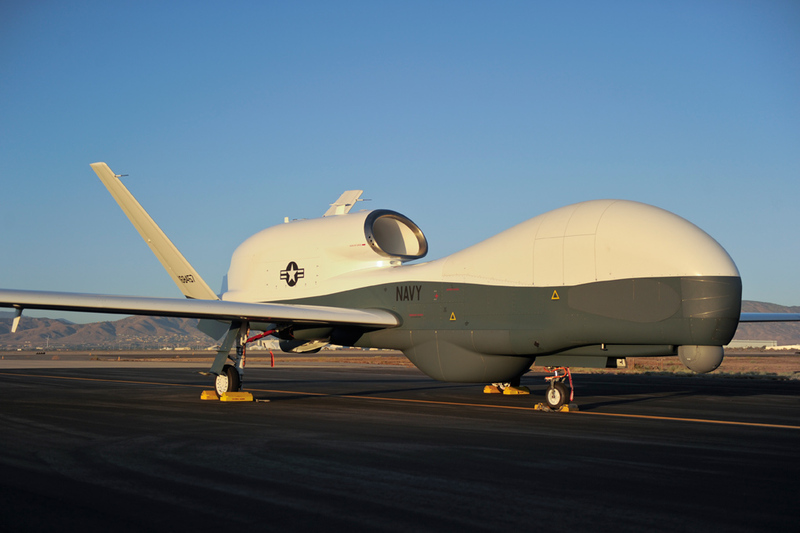 Pilots and operators will fly the unmanned Triton aircraft from NAS Jacksonville. Flying upwards of 55,000 feet/16,764 meters for up to 24 hours at a time, Triton provides unprecedented, persistent 360-degree maritime domain awareness through vessel detection, classification and tracking. Triton aircraft can combine to fly an orbit, with one plane on station and another en route, providing the U.S. Navy with near-constant coverage of huge swaths of ocean and littorals. The program of record ultimately calls for Northrop Grumman to deliver 68 aircraft to the U.S. Navy. 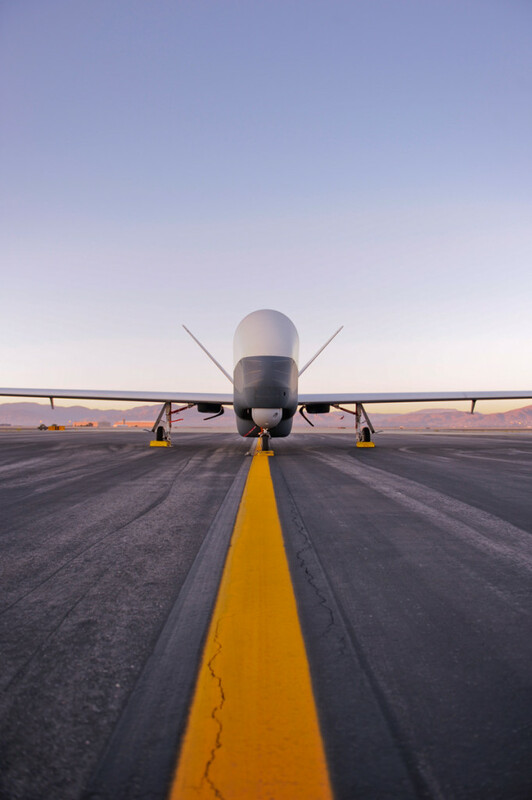 Northrop Grumman’s MQ-4C Triton Unmanned Aircraft System provides real-time Intelligence, Surveillance and Reconnaissance over vast ocean and coastal regions. Supporting missions up to 24 hours, the high-altitude UAS is equipped with a sensor suite that provides a 360-degree view of its surroundings at a radius of over 2,000 NM/2,302 miles/3,704 km. 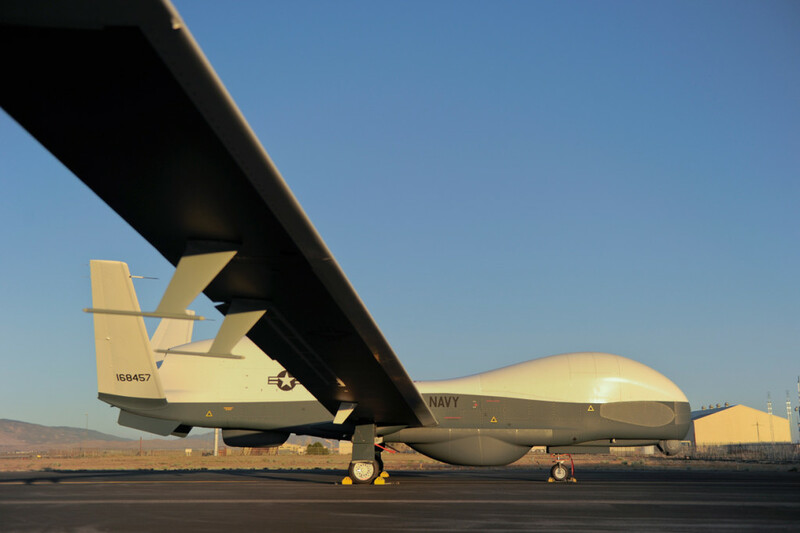 Following a successful Milestone Decision Authority (MDA) led review, the U.S. Navy’s MQ-4C Triton Unmanned Aircraft System (UAS) obtained positive Milestone C Low-Rate Initial Production (LRIP) approval. The decision marks the beginning of the production and deployment phase of the Department of Defense (DoD) acquisition process. «Triton’s critical technology is mature, and the system development and design review phases have been successful», said Doug Shaffer, vice president, Triton programs, Northrop Grumman. «Completion of the full system Operational Assessment (OA) testing exercised in various real-world scenarios validated the system’s ability to protect the Navy’s fleet from evolving threats. We are extremely pleased with the maritime domain awareness products and results coming from Triton». An integrated test team made up of Navy personnel from Air Test and Evaluation Squadrons VX-1 and VX-20, Unmanned Patrol Squadron, VUP-19 and Northrop Grumman demonstrated the true reliability of Triton going into Milestone C. The team analyzed and validated sensor imagery and performance at different altitudes and ranges. The aircraft system’s ability to classify targets and disseminate critical data was also examined as part of the OA testing. Successful evaluation of Triton’s time on station confirmed that it will meet flight duration requirements. Triton also transferred full motion video to a P-8A Poseidon in flight, proving a key capability to significantly enhance its ability to detect, track, classify and identify maritime threats. Northrop Grumman is a leading global security company providing innovative systems, products and solutions in autonomous systems, cyber, Command, Control, Communications, Computers, Intelligence, Surveillance and Reconnaissance (C4ISR), strike, and logistics and modernization to customers worldwide. The Navy recently demonstrated two key capabilities for the Triton Unmanned Air System (UAS) program that will enhance future fleet operations. During a flight test June 2, an MQ-4C Triton and P-8A Poseidon successfully exchanged full motion video for the first time inflight via a Common Data Link (CDL), marking another interoperability step for the program. The test demonstrated Triton’s ability to track a target with its electro-optical/infrared camera to build situational awareness for a distant P-8 aircrew. «In an operational environment, this would enable the P-8 aircrew to become familiar with a contact of interest and surrounding vessels well in advance of the aircraft’s arrival in station», said Commander Daniel Papp, Triton integrated program team lead. 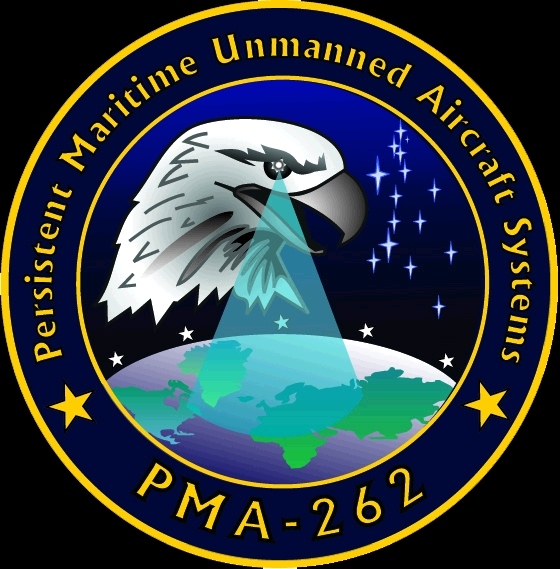 The MQ-4C Triton’s ability to perform persistent intelligence, surveillance and reconnaissance within a range of 2,000 nautical miles/2,302 miles/3,704 km will allow the P-8A aircraft to focus on their core missions. Last week also marked the completion of Triton’s first heavy weight flight that will expand Triton’s estimated time on station significantly. Triton operated in the 20,000 foot/6,096 m altitude band in the heavy weight configuration for the first time and completed all test objectives. A second heavy weight flight on June 14 had Triton operating in the 30,000 foot/9,144 m altitude band. «The heavy weight envelope expansion work will enable Triton to realize its long dwell capability and become the unblinking eye for the fleet», Papp added. Triton is designed to fly missions of up to 24 hours at altitudes over 10 miles/16 km high, allowing the system to monitor two million square miles of ocean and littoral areas at a time. Since its first flight in 2013, Triton has flown more than 455 flight hours. The U.S. Navy will continue testing Triton at Patuxent River to prepare for its first planned deployment in 2018. 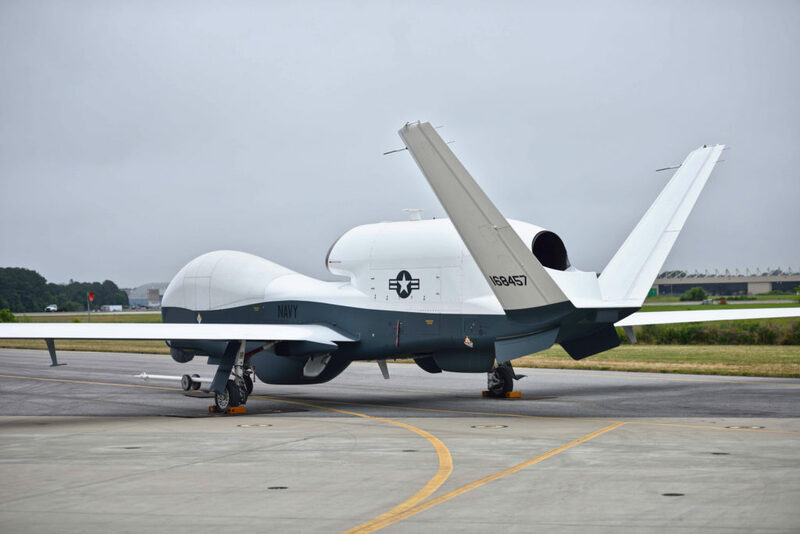 The MQ-4C Triton Unmanned Aircraft System (UAS) built for the U.S. Navy by Northrop Grumman Corporation (NOC) has successfully completed Operational Assessment (OA). Pending final data analysis, the completion of this milestone signals the maturity of the system and paves the way for a positive Milestone C decision. Milestone C will transition Triton into Low Rate Initial Production (LRIP). 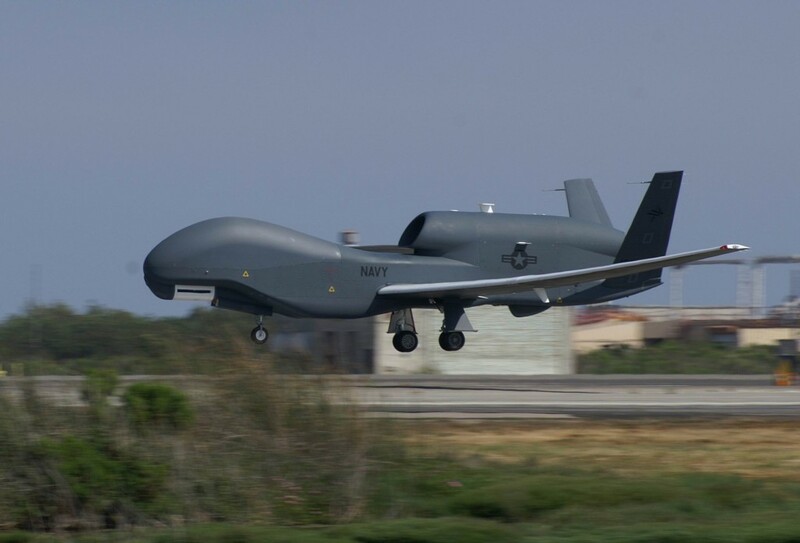 As part of OA, an integrated test team made up of U.S. Navy personnel from Air Test and Evaluation Squadrons VX-1 and VX-20, Unmanned Patrol Squadron, VUP-19 and Northrop Grumman demonstrated the reliability of Triton over the course of approximately 60 flight hours. The team analyzed sensor imagery and validated radar performance of Triton’s sensors at different altitudes and ranges. The aircraft system’s ability to classify targets and disseminate critical data was also examined as part of the operational effectiveness and suitability testing. Successful evaluation of Triton’s time on station confirmed that it will meet flight duration requirements. «Operational assessment for Triton included several flights which exercised the weapon system through operationally relevant scenarios that demonstrated its readiness to meet the U.S. Navy’s maritime Intelligence, Reconnaissance and Surveillance (IRS) needs», said Doug Shaffer, vice president, Triton programs, Northrop Grumman. «As a result of the flight tests, the program moves one step closer to a milestone C decision later this spring». According to Marina Malenic, Jane’s Defence Weekly reporter, the U.S. Navy (USN) plans to add a Due Regard Radar to its Northrop Grumman MQ-4C Triton unmanned maritime surveillance aircraft after it is deployed to the fleet. The radar «will be an upgrade to the initial capability in the 2020 time frame», said Sean Burke, the programme manager for the navy’s persistent maritime unmanned aircraft systems programme office. Due Regard Radar would allow «non co-operative» detection of other aircraft. The name «Due Regard» comes from an International Civil Aviation Organization (ICAO) requirement that military aircraft be flown with «Due Regard for the safety of navigation of civil aircraft». Burke said the navy will begin conducting Triton sensor test flights within the next three weeks and delivering the aircraft to the fleet at the end of 2017 and early 2018. USN officials have previously said Triton will come equipped with a Traffic alert and Collision Avoidance System (TCAS) and Automatic Dependent Surveillance-Broadcast (ADS-B). Both TCAS and ADS-B are transponder-based systems that require other aircraft to have such systems so that they can «see» and avoid one another. Though neither TCAS nor ADS-B meets the U.S. Federal Aviation Administration’s (FAA’s) requirements for Unmanned Aerial Vehicle (UAV) sense-and-avoid on its own, the USN and the FAA are working with other international regulatory bodies to develop a plan whereby they can be used in conjunction. Previously known as the Broad Area Maritime Surveillance (BAMS), the Triton is a derivative of Northrop Grumman’s RQ-4 Global Hawk being developed to provide the USN with persistent maritime Intelligence, Surveillance, and Reconnaissance (ISR) as a companion to the Boeing P-8A Poseidon manned maritime surveillance aircraft. It will operate in US national airspace, as well as international, foreign, civil, and military airspace. Built to support the U.S. Navy’s Broad Area Maritime Surveillance program, Triton will support a wide range of intelligence-gathering and reconnaissance missions, maritime patrol and search and rescue. The Navy’s program of record calls for 68 aircraft to be built.